Thank you to all our Military members, Veteran’s, and their families for all you do to protect our freedoms! 2. Switch over to the My Memories program. This is the company that designed My Digital Studio and works much the same way. You can switch over to MyMemories Suite 5 FREE if you follow these instructions you can also continue using all the content you purchased for My Digital Studio. You can also upgrade to Suite 6 if you want to pay for it and you also get some downloads to play with. That is what I did because there is limited business use with Suite 6. I do need to read about that again. I have downloaded (and paid for) Suite 6. I haven’t really had a chance to play much with it though. Here are some videos to help you decide and/or learn to use this program. 3. You can switch to PhotoShop Elements. I have also done this. You must download all your purchased content again, only this time save “For Use with Other Applications”. I saved them in my downloads as “MDS Other Applications” with a folder at the top to move the unzipped files into. You can then unzip these files and use them easily with Photoshop Elements. The tricky part is learning to use Photoshop Elements which has (at least for me) a BIG learning curve when using the graphics from MDS. So if you still want to use all the things you purchased and downloaded, you need to act quickly as you can no longer download anything after June 9th! This will probably be the last My Digital Studio (MDS) Card I post since the program and downloads are being discontinued either May 31st or June 2nd. All My Digital Studio is 30% off until May 31st. If you own My Digital Studio and have any downloads please make sure you check for updates. Also download all your content again, this time selecting “For Other Applications” if you want to continue using it. I know I have done this. I also have the My Memories program downloaded. You can download My Memories Suite 5 for FREE. Here is a link with the information you need. My Memories is the company that designed My Digital Studio and the workspace is similar. I hope to give you a review next week. I will miss MDS greatly as I use it almost every day. I do all the photos for my blog using MDS. I have done all the graphics for my blog using MDS. I do flyers and invitations with MDS. My video title screens were designed with MDS. The use of My Memories for business is restricted. 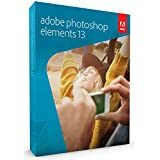 I did get PhotoShop Elements 13 and have signed up for an online class so I can learn to use it for my blog and business. 1. Choose a Greeting Card, landscape 4-1/4″ x 5-1/2″. Choose Background Papers and Color then choose Island Indigo as your card base. 2. Choose Background papers again and Designer Series Paper. Choose Domestic Goddess and pattern 9 with the small flowers and add as a page layer. Crop the paper by typing in the width as 5.25 and the height at 4.0. Make sure and press enter so the measurements will take effect. Yes, the program may adjust your measurements slightly. Don’t worry about it. Now right click on the paper and choose “Align” then center horizontally and then center vertically. You can also now add the Drop Shadow of 75% Opacity and Medium Blur. Save. 3. Now go to Punches and choose your Basic Punches. Choose the Square one at the top. Put the one edge against the side of your Flowered Paper. Use the center gray square and drag it to the other edge of the Flowered Paper. Choose Color Fill and Calypso Coral. Now do CTRL/Command + C to copy your Calypso Coral Strip. Do CTRL/Command + V to make a second strip. Choose Color Fill and then Domestic Goddess pattern 12-Pool Party Gingham. Save. 4. Under Punches on the left side, choose Build a Banner. Choose the shape you want. Move it up some so you can see the gray boxes in the bottom corners. Use one of the corner boxes to make the Banner the length you want. Now use one of the side gray boxes to make the banner more narrow. Color Fill with Pool Party, then click on Mat and choose a size 4 mat and change the color to Island Indigo. Copy and Paste this banner. Paper Fill with Domestic Goddess pattern 10-the reddish tablecloth pattern. Use the center gray squares to make this banner shorter and more narrow. Save. 5. Next choose the Labels Collection 1 punch. Color Fill with Island Indigo. Copy and paste. Color Fill with Whisper White. Resize the Whisper White one and center it on top of the Island Indigo one. 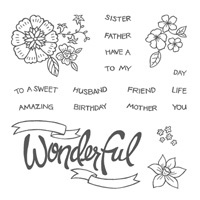 Choose the Thank You or other sentiment and resize it to fit inside the Whisper White Label. Recolor if desired to Island Indigo. Save. 6. Now go to Embellishments and choose the Paper Daisies. Choose the two largest and Recolor with Cajun Craze. Use a Drop Shadow of 75% Opacity and Medium Blur for both. Select both flowers and do CTRL/Command + G to group them. Take one of the corner gray squares and shrink to the size you want. Add a Cajun Craze Dahlia to the center. Resize if desired. I did NOT use a Drop Shadow on the Dahlia. Save. 7. 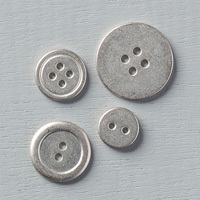 Now choose the Delicate Adornments Pool Party Button and place on top of banners. Add the Sweet Sorbet Accessory Pack Calypso Coral thread bow. Select both and add a Drop Shadow of 75″ Opacity and Medium Blur. Save. 8. Now select one of your punches. Add Drop Shadows to all punches on the page by checking the box. The Drop Shadow will be 75% Opacity and Medium Blur. Save. 9. You can now “Share” your card! If you print the image will be in the center of your paper. You can trim it and add it to a card base. If you want to email your card, choose Export Pages. Choose JPG, change the size to medium, make sure it is saving to the folder where you saved the project, then click Finish. Wait a bit while it saves in the new format. Some boxes will come up and tell you it is saved. You can now attach it to an email, upload to Facebook or to your blog. Treat it as a photo. Hope you all have a fun St. Patrick’s Day! We will be having our traditional corned beef and cabbage dinner. It is also my daughter and son-in-law’s anniversary today! So double celebration! Enjoy this digital card made with My Digital Studio. The Leprechaun and Pot of Gold are “Punch Art” with resizing for most of the punches. I also used layers by sending things to the back or bringing them to the front so I only saw the parts I wanted to see. It took me about 15 minutes to make which included me changing my mind a few times. I do enjoy working with My Digital Studio!! Tomorrow is Valentine’s Day! I hope you have a nice day with family and friends! Here is a MDS Valentine’s Card just for you! I appreciate you visiting my blog! Thank you!! My Digital Studio Software 30 Day Free Trial #130910 $0.00, Disc #130647 $19.95, Digital Download #130646 $19.95, MDS Express Booster Pack Digital Download #124484 $39.95 LOTS of Content! Heart Punch – NO Drop Shadows because it just didn’t look good. It is raining here today. So here are a couple of umbrellas to protect you from the weather. I used a couple of My Digital Studio (MDS) Designer Kits. MDS Software choices including FREE 30-day Trial The MDS Disc Software, MDS Digital Download, and the MDS FREE Trial Digital Download all have the same content. The MDS Express Booster Pack has LOTS of additional digital content and is well worth the price! It has been a while since I shared a My Digital Studio Technique. This technique gives you the look of using an embossing folder. It changes the Drop Shadows and uses an overlay stamp. Play around with this technique to get the look you want. I will give you the exact Drop Shadows I used for each element in this card as there are a variety. The instructions will tell you exactly what was done to make the card shown. My Digital Studio Software Several choices. Contact me if you need help choosing. 1. Choose Tempting Turquoise Textured card stock to cover the card base. 2. Now to get the Embossing Folder look. Now Choose the Quatrefoil Decorative Overlay stamp. Change the color to Tempting Turquoise. The Drop Shadow is 50% Opacity and Blur 0. You can play around a bit here to get the look you want. 3. Now choose the Delicate Adornments Lace. You will need to move it over until you can see the end Gray boxes. Make it smaller by dragging one of the corner gray boxes until the lace is as narrow as you want it. Position it as desired. The Drop Shadow is 70% Opacity and Blur of 4. 4. Now for the Paper Daisies. Choose the 3 largest and layer them starting with the largest, medium, and then second to the smallest. Select all three so you just have recolor and do the Drop Shadow once. Hold down your Shift Key and select the smallest flower, then the medium flower, then the large flower. Now let go of your Shift Key. Recolor them Melon Mambo and use a Drop Shadow of 73% Opacity and Blur of 11. Since you left all three selected this will work for all three Daisies. 5. Choose the Antique Brad and place it in the center of your Daisies. Choose a Drop Shadow of 75% Opacity and the Blur is 3. 6. Now choose the Tag. The Melon Mambo one is the original size. The Whisper White was adjusted two ways. First by dragging a corner Gray Box, then by dragging the center Gray box on the bottom. This helped me get it the size I wanted with equal parts of the Melon Mambo tag showing. Select both Tags by holding down your Shift Key to select the largest first, then the smaller one. The Drop Shadow is my normal 75% Opacity and Medium Blur for both tags. 7. Now stamp the Happy Birthday and resize it and put it on the Whisper White Tag. Change the Color to Tempting Turquoise. Use a Drop Shadow of 35% Opacity and Blur of 5. 8. Now for the Vintage Adornment Flower. Choose the Baja Breeze (bluish) one. Make is smaller by dragging a corner Gray box. Move it onto your Tag in the desired position. Use Drop Shadow of 73% Opacity and Medium Blur. 9. You now have a digital card you can email to someone and make their day happier. They will be really impressed with your card! Now you can experiment with other Digital Overlays and the Drop Shadows to come up with another card. Merry Christmas! I hope you are enjoying spending time with family and friends to celebrate the birth of our Savior Jesus Christ. Here is a card made with My Digital Studio. Below is a tree my grandson and I made together last Sunday. We made the tree base from card stock by tracing around my largest dinner plate and turning it into the cone shape. He chose the Nordic Noel paper because it had tree parts and pine cones on it. He LOVES Pine Cones! The basic tree directions are on a site for My Newsletter Subscribers. Get the basic tree directions when you sign up for my Newsletter and then register for the Exclusive FREE site. You will receive three Exclusive projects each month. Here is a Merry Christmas Printable as my Christmas Gift to you! It was made with My Digital Studio (MDS) using the Christmas Collage stamp brush set. I have searched and cannot find the item #. Just print this, frame it, and hang it up. 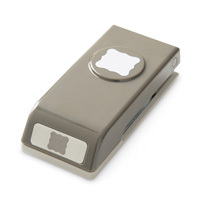 You can use your 2-1/2″ Circle Punch to punch out and insert a photo in the big circle if you want. Enjoy! Merry Christmas from me to YOU!! Happy Thanksgiving to all those in the United States! If you live elsewhere, find something to be thankful for. We are blessed. Here is a Punch Art Curvy Keepsakes Turkey Box just in time for Thanksgiving! It is fairly easy with a printout to use for the front of the Turkey and the wings. The print out uses MDS Harvest of Thanks stamp brush set which is enlarged to fit the size of the Curvy Keepsakes box. 1. Cut your Chocolate Chip card stock in half: two 5-1/2″ x 8-1/2″ pieces. Make your Big Shot sandwich: Magnetic Platform (OR Multipurpose Platform with tabs closed), cutting plate, both pieces of card stock-stacked, Curvy Keepsake Box Die, top cutting plate. Run thought Big Shot. Watch this VIDEO for more details on making a Basic Curvy Keepsake Box. Fold up and close your Box. It makes it easier to add the pieces in the correct position. 2. Print up the Turkey Body and Wings page onto Whisper White card stock or 24 pound white printer paper. (Printer paper used here.) Cut out the Turkey Bodies. Lay the Curvy Box on its side so the handle is parallel to the table. Lay one Turkey Body under the Curvy Box in the position you want it. Draw a line where the Turkey Body meets the Curvy Box. Fold on the line you drew. Add a 1/4″ tab to add adhesive. (I also cut a “V” shape in the center of the line to reduce bulk when adding the Turkey body to the Box.) Use Tombow Glue to glue the very front part of the Turkey Body together – from the head to in front of the feet. Add Tombow to one of Body Flaps and overlap the other Turkey Body flaps. Add Tombow Glue to the other flap and attach it to the Box (which is now standing upright) so the Turkey feet are at least close to touching your table. Use your Bone Folder between the Turkey Body pieces to make sure the Tombow Glue is on the Curvy Box. Yipee! The hard part is done! 3. Using the scraps from your Curvy Box cut out 4 small feathers and 8 large feathers. You can still have the card stock in two layers – so cut out 2 small feathers and 4 large feathers on the doubled card stock. You can sponge the edges of your feathers if desired. I forgot, but wished I would have. Half the feathers use the front of the feather, the other half you see the back – so sponge accordingly. 4. Use either Tombow or Glue Dots to attach the 4 small feather together in a fan shape. Attach in the position you want on the back of the Turkey. Add a few Dimemsionals to the back of the small feather fan. Now attach the large feathers in a fan shape with Tombow or Glue Dots. Attach to the small feather fan using the Dimensionals and either Glue Dots or Tombow Glue. 5. Now cut out your Turkey wings and attach them to the sides of your Turkey Box. Put your Turkey Box on display! Thank You to all our Military Members and Veterans! Thank you so much to the Military and Veterans and your families for your sacrifices to protect our freedoms!! Happy Veteran’s Day! Here are the latest My Digital Studio (MDS) Downloads for November. These are great for either Fall or Christmas. Would you like to keep track of all the fun things you do in December? You can easily do this with the Hello December Project Life Card Collection available in both digital and card stock formats along with the accessory pack and stamp set. Add the 6″ x 8″ Photo Pocket Pages and an Album to hold everything so you can insert the cards now and add the photos and writing as things happen. ~Daily December: Take a picture and/or write down what happens each day in December. ~December Events: Take pictures of your family and fun things you do in December. It doesn’t have to be every day. Make a cute Halloween Card to email your family and friends. It is quick and easy! Video is 7 minutes long. There are 8 fun Weekly Deals this week! The last day to get your first TWO months Paper Pumpkin Kits at 50% off ends tomorrow-so don’t procrastinate! This month’s newest My Digital Studio Downloads include some digital items from the 2014 Holiday Catalog and some NEW Digital Exclusive Products. So get out your printer and e-cutter and have some fun! Ends TOMORROW, September 10th. Get your first two months of Paper Pumpkin Kits at 50% off when you sign up by September 10th, 2014! Sign up HERE and use the Promo Code: HALFOFF2 to get the discount. Get the Good Greetings Limited Edition Hostess Stamp Set when you hold a qualifying Party or Private Class by October 31st. Contact me for details and to schedule YOUR Party! Note: You will receive this stamp set in ADDITION to the normal wonderful Hostess Benefits. Digital Exclusive. Use these party templates for your Christmas or New Years parties or both! Includes, banner, favors, invite, thank you and more! Digital Exclusive. This fun and clever card is perfect for letting everyone know the highlights of your year. Digital Exclusive. Open if you dare. This treat packaging is so fun. Wrap the vampire around candy and place him in this coffin. Or use the coffin as separate treat packaging. Wrap smaller pieces of candy or glow sticks with the smaller bat wrap. Digital Exclusive. Make a cute little winter village for your home decor or for treat packaging. Happy 4th of July and Independence Day! Take a moment to appreciate the freedoms we enjoy. For those in countries other than the United States, take a moment to appreciate the good in your country. We can also be thankful for our family and friends and the many blessings they bring into our lives. Feel free to share and pin things on this blog. Here are the weekly Deals for June 10-16. There are eight great products on sale this week. I was not able to copy the pictures so I am doing individual links. Remember these Weekly Deal prices end June 16, 2014. The My Digital Studio (MDS) prices are the regular prices except for the Afternoon Tea II Kit which is on sale this week. Have you been missing some of the XL Bigz dies you can make boxes with? Check out the “Cool Like This Giftable Templates” which contain svg files you can cut out with your e-cutter! I guess an e-cutter is now on my list. Do you have any good recommendations? My daughter loves hers, but she is across the country so I need my own.